Anandtech claims to have obtained access to some materials that indicate Intel is planning to release a new, extremely high-end desktop CPU. This processor, the i9-9990XE, is described as having a base clock of 4.0 GHz, 14 cores, 28 threads and a TDP of 225 watts. However, it will be open to OEM bids only. Anandtech has posted a new article in which it claims to have seen reliable leaks pointing to a new CPU in the Intel Core i9 Extreme series. 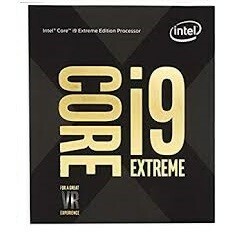 According to sources, this new high-end desktop (HEDT) processor is to be called the Intel Core i9-9990XE. It is touted as a 14-core, 28-thread CPU that runs at a minimum of 4.0 GHz and a maximum of 5.0GHz. The 'i9-9990XE' also apparently has a TDP of 225 watts (W), which is 60W more than the more familiar members of the core i9 Extreme family. Like the rest of the series, it also has 44 PCIe lanes and 2666MHz DDR4 DRAM. On the other hand, the report did not include L3 cache or cache per core specs. However, the more exciting rumors end here: the Anandtech report also alleges that the new i9 will only be sold in an auction format. This means that OEMs will have the first (and possibly only) crack at bidding for it. The winner of this process will then be able to integrate it exclusively into its own systems, and charge interested customers for it at will. Should these new leaks prove accurate, it may be a shame to only be able to run the powerful new Intel CPU in this manner. On the other hand, a motivated prosumer could still turn to the 18-core, 36-thread i9-9980XE instead. It has a TDP of 165W, has a base clock of 3.0GHz (which can be boosted to 4.5GHz) and a L3 cache of 24.75. However, all this power comes at a price: US$1979 at current RRP estimates.